TN transport came to Sunflower Lab with plans to expand their business and overhaul the entire bookkeeping of their delivery process. The company initially stored all its data in an excel spreadsheet on a single computer which needed job wise manual updating. This sheet contained information about the driver tickets, load schedules, and scheduled pickup time of drivers. Updating the sheet every now and then was a tedious task for the management team as it meant spending more time in office and less on the road. Additionally after a schedule delivery or pick up was completed, getting the invoices back to the company’s office took too long. TN Transport specifically wanted to automate parts of their software which resulted in increased operational efficiency and customer satisfaction. They also wanted to keep track of data easily and without having to input it entirely in a spreadsheet. Sunflower Lab examined TN transport’s existing delivery process and worked with them closely to understand the transportation industry. They identified the key issue as “a lot of time was spent doing tedious tasks which could be automated.” To resolve this issue, we developed custom transport dispatch software with new mobile app and back end admin app for TN Transport. 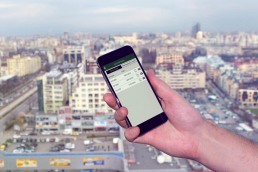 The primary task of the development team was to create a new mobile app to overhaul invoice keeping, load scheduling, and driver tickets creation. Sunflower Lab made it easier for drivers to communicate with clients and field supervisors through the automation of the invoice. 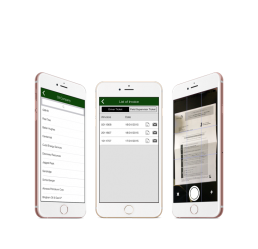 Now the users can create a new invoice slip directly from the app which is then uploaded to cloud storage for easy access. Drivers can additionally use their scanner to take an image of a paper invoice or a slip and immediately upload it as pdf to the company’s dropbox folder. Any driver or supervisor can access the individual invoice as soon as the delivery is completed. Sunflower Lab designed the back end admin app for management team of TN Transport. This app helped the management to easily analyze metrics of time spent on the road, the cost of delivery and shorter truck routes for efficient pickup and delivery of goods. 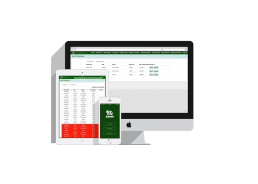 The back end app lets the management team assign drivers to trucks and post their job schedules. This entire task was carried out manually before the app was developed by Sunflower Lab for TN Transport. This process automation by Sunflower Lab has saved a lot of company’s time which has resulted in increased business, efficient communication with customers and achievement of customer satisfaction. Together the improved features have helped automate TN Transport’s business flow vastly and illustrated how automation can improve the work environment for drivers and clients altogether in the transportation industry. The efforts of Sunflower Lab have helped automate the transport industry in a way beneficial to both drivers and their clients. By increasing the efficiency of TN Transport’s business model, the company can now spend more time on expanding their delivery network and acquiring new clients. The data analytics from the backend app takes the metrics from each trip such as total mileage and pick up time to create the most efficient routing network for each delivery made by TN Transport. Sunflower Lab continues to work with TN transport for further improvements in processes and to cope with changing environmental requirements.